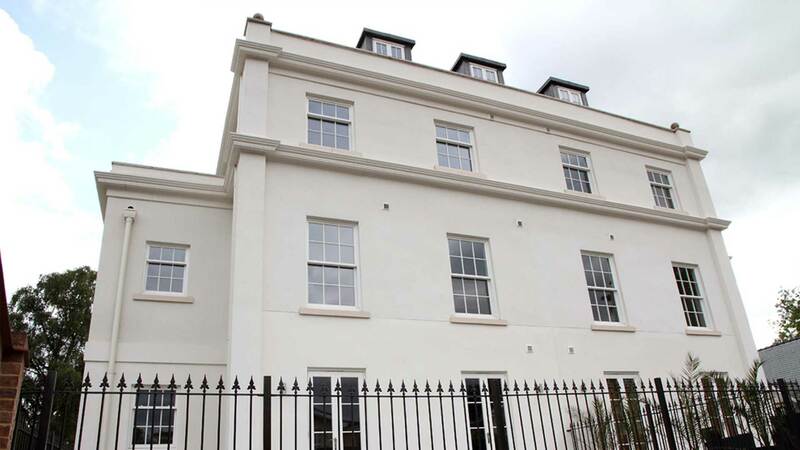 The historic town of Cheltenham holds a wealth of beautiful Regency properties; Lawnswood Court exhibits all the style and attractive features of that period but it is in fact a new build designed to fit in amongst its neighbours. The webertherm XP system has contributed significantly to the aesthetic quality and technical merit of this perfectly proportioned building which uses a modern timber frame structure with construction ply panel facing. 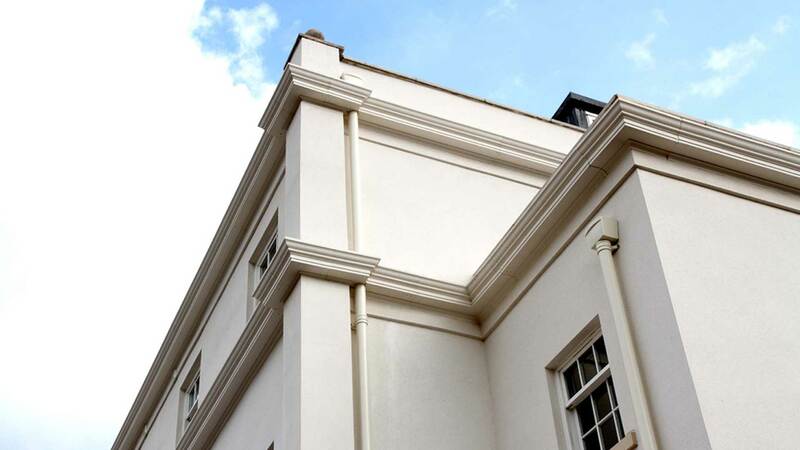 100mm thick EPS insulation was mechanically fixed to the substrate to achieve high thermal efficiency values, with the traditional finish achieved through a single coat of pump applied through-coloured render. 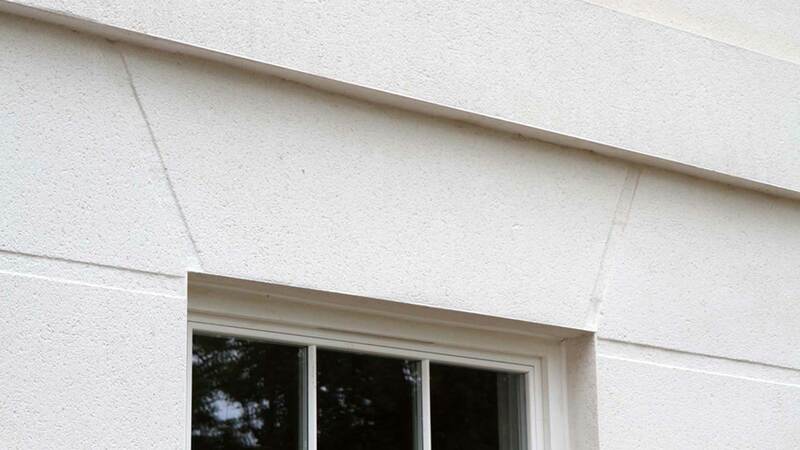 Additional application of cornice features, ashlar walling details and attractive window opening edging has added further style to the building and illustrates the flexibility and ease of use of the market leading Weber system.